In Canada’s Okanagan Valley Ivana McConnellfinds openness, inquisitiveness, a pioneering spirit and an unexpected sense of humour in a wine industry still forging its identity. There are five bottles of wine ready for tasting at Little Straw Winery in West Kelowna, the first stop in a whirlwind Canadian winery tour. Different grapes, different colours, different histories, different tastes, and I have no idea where to start. Now probably isn’t the time to tell him that I know little about wine, and that my only preparation has been a bottle of Merlot (shared) and a viewing of wine documentary Somm. I enjoy wine, but am not a connoisseur in the way some may feel pressured to be in these environments, faced with five open bottles, expected to discern their nuances in a way that respects the winemaker’s effort. Wine carries with it a weight, a sophistication and a specific vocabulary, forged by years of tradition – I don’t want to get it wrong. I take a deep breath, and Slamka’s eyebrows rise, anticipating a response to the implicit question. Which wine do I like best? I don’t even know where to start. This is where I find myself, though: in the midst of a road trip through Canada’s famed Okanagan wine region, notebook and pen in hand, returning home after a few years in Europe, in search of some answers. Before we continue, a brief diversion into history would likely help. 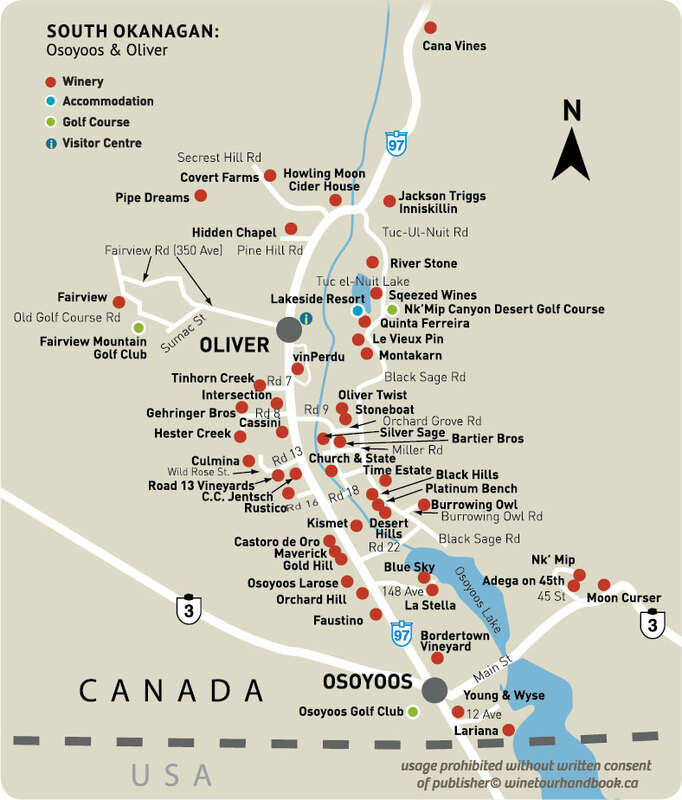 The Okanagan Valley region is in south-central British Columbia, Canada, between the Columbia and Cascade mountain ranges. It’s beautiful. In the rain shadow of the Cascades, the majority of the valley has a climate that allows it to produce a wide variety of wine. 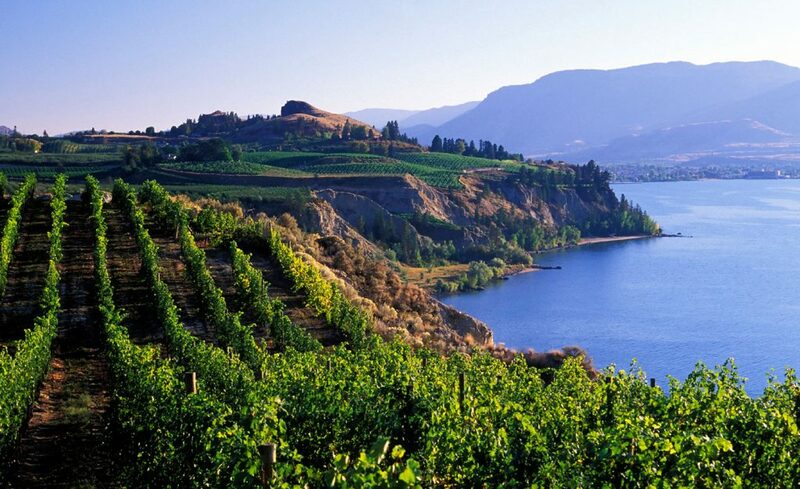 The 9,900 acres of vineyards planted in the Okanagan account for more than 90 per cent of all wine produced in BC. The very first grape vines were planted in the region in 1859, and the oldest operating winery, Calona, was opened in 1935. Back then, winemakers used labrusca, a North American grape variety, and made dessert and fortified wines. Wine production truly gathered steam in the 1960s, punctuated in 1966 with the opening of the now internationally recognised Mission Hill Winery. Eventually, the winemakers began using vinifera vines, native to Europe and Asia. The North American Free Trade Agreement (NAFTA) had allowed US wine to enter Canadian markets, and Okanagan winemakers stepped up. Nowadays, there are over 60 grape varieties – these include traditional varieties such as Merlot and Cabernet Sauvignon, but also the French- American Maréchal Foch, German Gewurztraminer, as well as the atypical Sangiovese and Tempranillo. 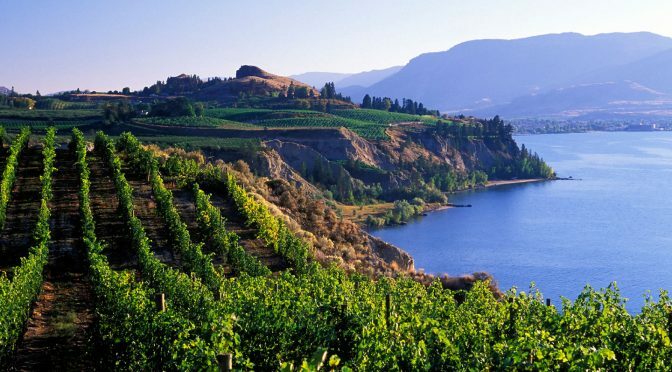 Since then, the Okanagan has been going from strength to strength. This began in 1994, with Mission Hill winning the Best Chardonnay award at the International Wine & Spirit Competition. The Duke and Duchess of Cambridge (William and Kate) were served a selection of Quail’s Gate Wineiy vintages in 2011, as was Barack Obama in 2009. Even the Queen herself partook in Canadian wine during a 2005 royal visit, tasting La Frenz Wineiy’s Chardonnay and Merlot. What about now, in 2018? Returning to Canada from the UK, I wanted to remember what it means to ‘be’ Canadian – or perhaps even find out for the first time. A road trip through the Okanagan was part of that exploration; it’s a region that has become essential to the image of British Columbia, and Canada at large. The region has seen a meteoric rise, and is always adapting, but it’s instructive to stop and look back for a moment. Where does the industry find itself right now? What is its identity? What does this wine mean to those who make and consume it? What does its future hold? That’s what I wanted to find out, taste some delicious wine in the process, and hopefully get to know Canada a little bit better. Each visit began the same way. In each winery, there were always wines open for tasting. Pay a small fee (five Canadian dollars, usually), and get a small tasting of each. My alternative is to order wine online, something I don’t want to. Why not simply buy the wine online? We visited six wineries: Rollingdale, Little Straw, Mt. Boucherie, Volcanic, Quail’s Gate and Mission Hill. They ranged from local establishment to global behemoth, but in each case, a knowledgeable person would be on the other side of the counter, willing to answer questions about the winery, the wines themselves and the history of the region. In the case of the smaller, family-owned and -run wineries such as Little Straw or Rollingdale, this might actually be the winemaker. Tasting the wines was an exercise in vocabulary, a challenge of expression that I hadn’t encountered before. This pressure is strongest in the small wineries, when the winemaker is standing before you. It’s not difficult to identify that each i wine is different, but finding the words to articulate those differences is an entirely different matter. Taking the first steps of this journey is unwieldy and awkward; wanting to i sound knowledgeable but failing to. However, in Mt. Boucherie, Volcanic, Little Straw and Rollingdale especially, we found smaller operations where we had time to spend on those details. Embarrassment was mitigated by time and willingness to educate. We learned about local weather and its whims, the timing of winemaking, and 1 why that timing matters. We learned what identifies a proper ice wine, and the effects of temperature on taste – among many things. This knowledge helped to influence and build that missing vocabulary, slowly but surely. 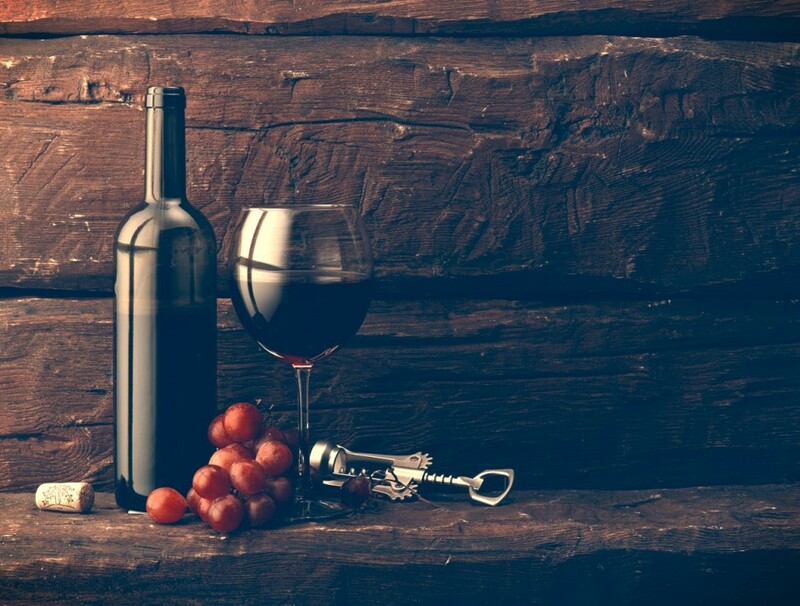 Throughout the years, my Vivino app has helped me – But this time I had to go with my gut. It helps that these smaller, younger wineries often find themselves on those first steps, too, and were able to take us along for the ride. Larger operations were busier, more crowded, and understandably had less time to spend contextualising the personal story. In the case of Mission Hill, especially, that had long since faded into history, replaced with the earnest professionalism that comes with age. But that is not to disparage them; after all, William Blake said that “without contraries is no progression.” Each winery challenged us in a different way, making richer the story of Okanagan winemaking and in some ways serving up even more questions. So, then, what makes the wine Canadian? I haven’t written about the taste of the wines, and for good reason. Logically, the place to begin is by asking how the wine compares with that of Europe. These comparisons are expected. Points of reference are needed to understand the unknown. I asked the same initial questions at each winery – how many cases of wine they produce, what kind of grapes they use, how long they’ve been there, and so on – and allowed the conversation to flow from there. Each winery finds itself in a different niche, with a different story and a different experience for its visitor. As the conversations flowed, particularly in smaller wineries, it was at their fringes that I learned the most, and where the comparison with European wine was made more complex. There is no sense in trying to replicate the wines of France or Italy, but it does make sense to use them as a starting point, and apply that knowledge to the Okanagan landscape. Okanagan wineries forge an identity by standing on the shoulders of those who came before them, while asserting independence. There is no tradition here – the industry is too young. But that missing albatross is a strength, not a weakness. While tradition often gives credibility to European wine, the Okanagan’s lack of it is an excuse to experiment, to not be constrained. It is in this context that Slamka’s response to me makes sense. “Whichever kind you like the best,” he said. I hadn’t realised yet that finding out should be part of the fun. It is this realisation that makes the Okanagan wine industry what it is – it invites us along for the journey as participants, rather than spectators after the fact. That is why I haven’t spoken about the tastes of the wines themselves. I can tell you that a wine tastes like strawberries, but what’s the point? If you taste blueberries or cloves instead, this doesn’t mean you’re tasting it wrong. The enjoyment of it is far more important, and what you taste is subjective, secondary and personal. Sure, each wine has dominant flavours, but it’s the intangibles, the quirks, that we enjoy and remember. It is in encouraging these interactions, these moments of discovery, that Okanagan wine finds its niche, in the same way craft beer is doing else where. That industry encourages mavericks, encourages using history as a foundation, not a restriction. In every winery, the winemaker has licence to create wine blends which are greater than the sum of their parts and defy orthodox vocabulary. Quite often, they’re succeeding, and winning international awards for their efforts. We’re invited along for the ride, to embrace the learning and experiment along with them. European wine, with its rich history and tradition, doesn’t have that manoeuvrability. In many ways, the Okanagan’s identity was encompassed in Rollingdale’s apprentice winemaker, Brendan. When I ask him what his day-to-day life is like, his response is to take us out to the vines and show us. He demonstrates cleaning up the vines and describes some of Rollingdale’s future plans – and some of his ambitions as an apprentice. A winery’s plans are always in the order of years, looking at what has been but also at what will be. Brendan explains how they plan to grow fruit trees on the property, and why there’s a small plot of land set aside for animals (they help keep the vineyard clean and create a self-sustaining cycle). He describes how their methods are French traditional, but adapted for the climate and the soil of West Kelowna, influenced further by ambition. He wants to make Champagne, but the weather isn’t cooperating. He wants to do a lot of things here. In the meantime, though, he is kept busy by the ice wine they do produce, and in every facet of its creation. Brendan’s passion, excitement and openness are infectious. Willing to answer our questions, he also asks some in return, to understand where we come from and how the story of Rollingdale can be better told. This is what sits at the heart of Okanagan wine. Its identity may still be growing and evolving, but the passion and fervour of those who make it will ensure that it remains distinct. It’s not about getting it right, but about being unafraid to try. It will keep asking questions not only of itself, but of those who come to try it, and what wine means to them – without pretence. This humour was present almost everywhere we went, a levity that isn’t often associated with wine. And that’s the point – the door is open, and wine becomes more accessible as a result, as we are invited to partake in the process. That image of Canada that I had come looking for, and the Okanagan’s contribution to it, is still being created – and that intrepid youth is part of its appeal. Its own vocabulary is still growing. They are unafraid, as we should be in experiencing wine. No, they don’t have dead people in the soil. But they’re forging ahead anyway. In case you’re wondering, the wine was excellent. The expectation of expertise soon fell away. No, my vocabulary wasn’t there at first, but it started to build as I asked questions, trying wine after wine. There’s no reason to fear getting it right or wrong; the five wines on the counter aren’t a test. There’s no need to scan it using Vivino. There is no expectation of sophistication or implicit understanding- the only expectation is that of openness, humour and a willingness to step outside the bounds of tradition. So go to the shadow of the Cascades, if you can, and try some of the wine. Ask plenty of questions, but be prepared to be asked them in return. Prepare to laugh and to be challenged. You will see local operations with vines nestled into the sides of local hills, making a few thousand cases. You will also see internationally recognised giants, vines reaching across hundreds of Okanagan acres and beyond. It is in these contrasts that the Canadian image finds its richness, its strength. This is what visitors fall in love with. Most importantly, regardless of where you go, the door is open – trust me. Searching for wine can already be frustrating offline, let’s figure out how hard it can be on the web, where you often still can’t see the bottle and let it inspire you, and were there aren’t shelves that let you at least orient according to wine colour, grape varieties of regions where it comes from. And yet, it’s not so hard to survive to the the web wine jungle if you have the right tools to search for wine. If you already know the name of the wine and are just looking for further information on it or where to purchase it at a fair price, let’s be honest – Google is enough in most cases. And often or not, you’ll end on the most popular wine database, Wine Searcher. But it’s often for the wine enthusiast – For those who already know a great deal about wine. But if you’re looking for a wine that tastes like this and that, and which pairs well for what you’re willing to cook or eat, well… Things start to get a bit more trickier. 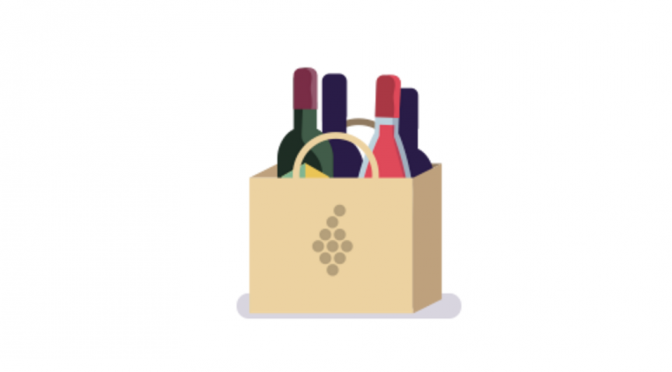 And with no name, a vague idea of price range and without any deep insights into grapes, wineries and regions – It’s no wonder only 5% of people actually buy wine online. You can always use Wine Searcher in combination with Wine Folley’s fantastic infographic on the basics of wine, works really well. Even if it might be a bit time consuming. You may not know what to pair with spicy food, but you may know fancy sparkling wine. But you don’t always need a wine expert – The people’s choice can be as good, or in some cases even better. With Vivino and their Wine Explorer, you can easily browse wine according to dish, price range, reviews and type. While it’s not as high-end as, say, Robert Parker, it’s an excellent site to get the type of wine you want, without a name in mind. And Vivino is surprisingly trustworthy as well as is steadily becoming an authority in the wine world. It’s moving from being the Shazam of wine to an established source for wine. Also, it would also be nice to narrow the search, to avoid ending up opening a bottle of Bollinger Champagne La Grande Année Brut 2004 (around € 140,00) and find that a bottle of Prosecco Ruggeri Giustino B. 2015 (€ 14) won’t surely taste the same, but can allow you to have a very pleasant dinner and still be able to pay the rent. The Goulee manufacturers another renowned name of in the vine industry holds a significant importance in global consumers. The Goulee vineyard is located in a gravelly hill facing Gironde river estuary water flow, in northern areas of Medoc in Port de Goulee and Jau Dignac and Loirac areas and owned by team of Cos d’ Estournel. Cos d’ Estournel team is dedicating its services in producing high quality of Goulee with high canopy management at planting density of 5700 vine plants per hectare to obtain optimal level of photosynthesis. The grapes for Goulee production is taken place on highly fertilized and cultivated land. The Goulee Vineyards relishes in extraordinary temperature, superb conditions and most suitable climate for growing quality grape varieties. The vineyards are located on ideal geographical position is close to Atlantic Ocean 18 km away and mixed with implausible estuary surroundings. This ideal climate provides extraordinary cooling for vineyards in summer and comfortable mildness in spring or winter season which enhances more fruity characters in the vineyards and provide more reminiscent world class vines. 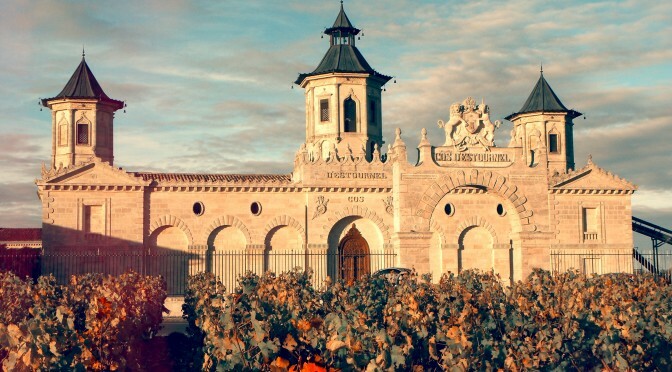 The idea of invention Goulee vines was inherited by observing few vineyards near the villages of Cos in 1811 that motivated him to manufacture high quality vine in separate series. With time many modifications were made by manufacturers but the secret formula running from ancient times cause Cos d’ Estournel vine to jump on high price ranges and to include itself among more prestigious vines and was exported near every part of the world. The supreme consecration of the work was headed by Cos D’Estournel. But Martyns unable to sustain the estate for being used in long term revenue and sold Cos D’Estournel to Errazu known as supreme class Basque family. But the whole state wouldn’t survive in their hands for long range and resold to Hostein brothers in 1889. Goulee vine was debuted in public in 2003 in the northern areas of Medoc. The Goulee vine components are fermented at controlled temperature in Marbuzet in a small, conical, and truncated morphed stainless steel barrels and aged in 50% new French Oak barrels. This whole vineyard is owned by Michel Reybier. 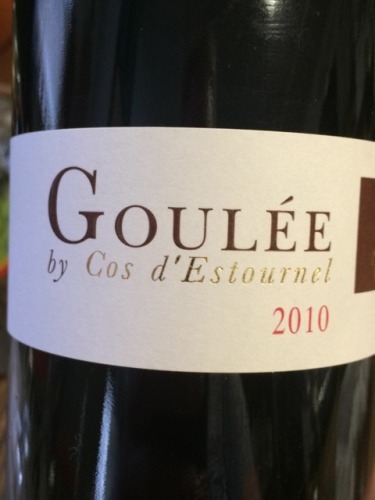 Cos d’Estournel Goulee is a ripe rich in taste and fleshy color of Bordeaux vine that offers best quality to price ratio produced by high technical staff Chateau Cos d’Estournel. We highly recommend the 2010 vintage, currently priced at around $25. Just as surely as wine and food go together, so do tasting notes and scores. Yet, as clearly as I see the unintentional damage that tasting notes inflict, I am a little more ambivalent about the issue of scoring wines. Let me put that another way: Wine scores can interfere with consumers developing their own standards and preferences. They are too easy to misunderstand and misinterpret. But I completely understand why so many consumers are wed to them, especially when picking a bottle online. Just as surely as wine and food go together, so do tasting notes and scores. Yet, as clearly as I see the unintentional damage that tasting notes inflict, I am a little more ambivalent about the issue of scoring wines. Let me put that another way: Wine scores can interfere with consumers developing their own standards and preferences. They are too easy to misunderstand and misinterpret. But I completely understand why so many consumers are wed to them. Naturally, consumers facing this situation want to put themselves into the hands of an expert. Ideally, that expert should be their local wine merchant. 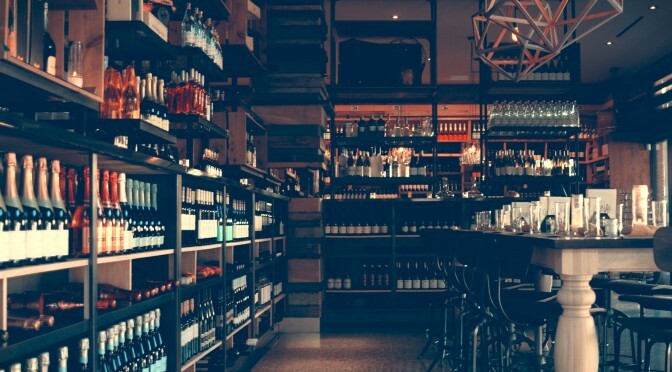 No resource is more important or potentially more influential than a good wine merchant. By definition, good merchants should offer a wide ranging selection. Just as important, they need to take the time to speak with and understand their customers, so they can direct them to bottles that meet their sometimes inchoate desires. But good merchants and great wine shops are not found in every neighborhood. Consumers have to be highly motivated to seek them out. Enter the consumer advocates—people like Robert M. Parker Jr., who actually patterned himself on Ralph Nader—as well as an assortment of traditional wine publications like Wine Spectator, Wine Enthusiast, Wine & Spirits, Stephen Tanzer’s International Wine Cellar, and Vivino and their app. While all of these publications differ in terms of taste, attitude, and point of view, most of them use the 100-point scale. British publications, like The World of Fine Wine, seem to view the American 100-point scale as typically exaggerated and over-the-top. After all, their scoring scale only goes up to 20 in the case of The World of Fine Wine and Jancis Robinson. Even so, it’s the same idea, fixing a grade to a wine that will allow consumers to judge it in comparison to other bottles. Novice wine buyers are not likely to read these publications, unless they aspire to become something more, but that doesn’t matter. The stores bring these publications right onto the sales floor in the form of shelf talkers, those little marketing aids that generally include a critic’s score. Using shelf talkers as a guide, even the most flustered consumer can pick out a bottle rated highly by at least one critic. 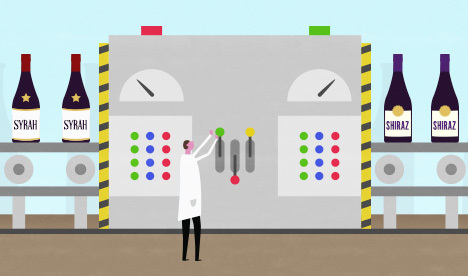 Is it any wonder scores are so influential, or that many winemakers have little conscience when it comes to weighing their personal tastes against doing whatever it takes to get a high score? So what’s the problem with scores? Some wine writers argue that assigning scores to bottles of wine is offensive, as it would be to score works of art in a museum, say giving Mona Lisa a 98 and Guernica a 94. While that may suggest an excellent project for an enterprising art historian, it is absurd to think of wines as masterpieces not to be sullied by commercial considerations. Great winemakers must have passion, courage, and a profound sense of vision and understanding, along with certain technical skills, but wine for the most part is not a work of the imagination. It is an agricultural product. And its especially concerning when buying wine online. Growers and winemakers are more like stewards who understand the potential of a particular piece of earth. Through farming and production they are able to realize that potential, which is sometimes mistaken for self-expression. Occasionally, parallels can be seen between a winemaker’s personality and the wine itself, but that is not the same as a work of art created from scratch. 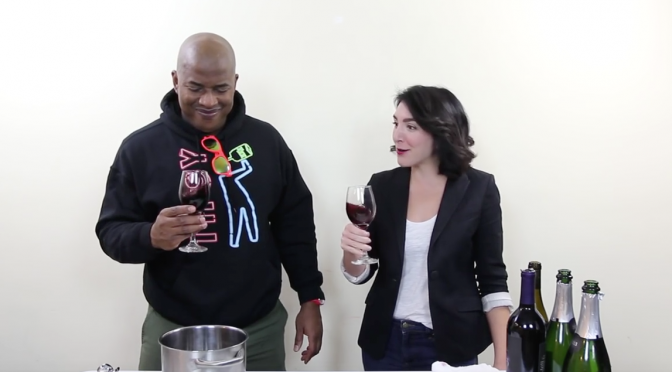 No, scores for wine are not offensive. They simply don’t offer enough information to be useful and therefore are too often misleading. For one thing, scores suffer from the same disadvantage as tasting notes: They are generally the products of mass tastings that give a quick experience of a wine at a single, solitary moment in its evolution, amid many other wines. A wine that a critic scores highly in these artificial conditions may not be the best wine to drink at home on a Monday night or at a dinner party a couple of years later. 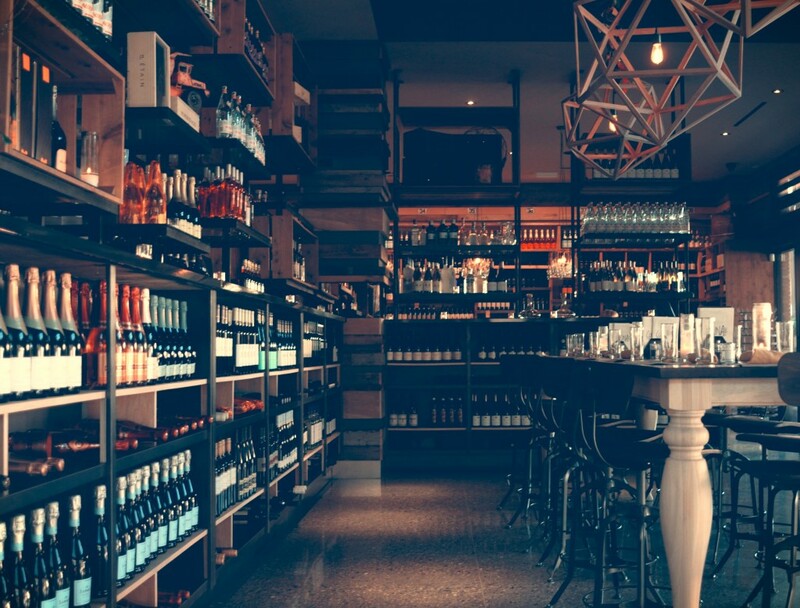 While scores offer an easy shorthand for consumers, they unfortunately require that every wine be judged on the same seemingly objective scale, regardless of the subjective nature of taste and context. A 90 always beats an 89, right? Let’s not even think of comparing a 95 with an 85. With such a clear disparity between bottles, why would anybody want to drink an 85? Such clarity, unfortunately, comes at the price of completely ignoring the single most important consideration to the enjoyment of wine: context. Quite simply, nothing matters more to how we perceive wine than the context in which it is consumed. Context can make a modest wine memorable. It can also render a profound wine irrelevant. Some examples? The proverbial little red wine, so delicious consumed in the archetypal Tuscan hillside village with your sweetheart as you drown in the loving pools of each other’s eyes. Alas, it never tastes the same back home in New Jersey, with the kids running around and an important report to deliver at work the next day. Meanwhile, the big California cabernet that you enjoyed so much with your work buddies at a steakhouse, ties tucked between the buttons of your shirt, doesn’t offer nearly the same triumphant lift when its flavors are canceled out by a bowl of spaghetti and meatballs. Considering context requires asking crucial questions. Where will you be drinking this wine? With whom will you be drinking it? What will you eat? What’s the weather, the mood? The more experience you have in choosing wines, the more instinctive this becomes, like knowing what clothes to wear to a particular sort of event, or when to begin slowing down your car when you approach a red light. If you are not used to dealing with these questions, or don’t have the background knowledge to apply to choosing a wine, it’s easy to fall back on scores. But scores ignore context, and that’s not good. Even worse, many wine critics almost reflexively offer higher scores to the sorts of wines they consider to be of higher status. 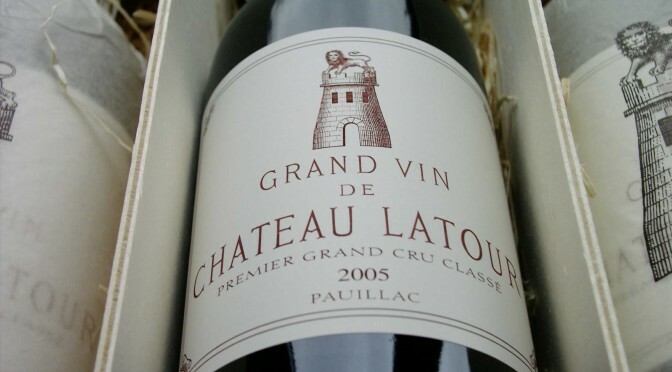 That is, established critics like Parker or Wine Spectator generally give much higher scores to bottles in the genres they consider great, like Bordeaux or Napa Valley cabernet sauvignon, than they do in genres they consider merely good or easygoing, like Beaujolais, Chinon, or Rioja crianza. Ultimately, scores tend to tell you more about the tastes and preferences of the scorer than they do about the wines. Paradoxically, the lower-scoring genres may be far better choices for many occasions. For one thing, many of the wines that receive higher scores offer the least amount of pleasure in the short term because they are too young. A young Napa cabernet from a great vintage may receive a higher score than another Napa cabernet from a vintage deemed mediocre. But that higher-scoring bottle may need quite a few years of aging before it becomes more enjoyable than the lower-scoring bottle. Similarly, while I believe that many people are too fussy in their anxiety about finding perfect matches between foods and wines, you still have to give at least modest consideration to what you are eating when selecting a bottle. And selecting wines by score doesn’t take food into account at all. Even within a single genre of wines, scores tend to reward ambition over simplicity. So a wine that strives for greatness, or shows the trappings of greatness, will often score higher than a wine that aims to be immediately enjoyable. It’s often the case in any up-and-coming region, for example, that winemakers can gain higher scores by adhering to certain formulas. Take a wine that’s become highly popular in the United States, Argentine malbec. The wines I’ve found most enjoyable and versatile are the most casual and inexpensive. Why? They are the least pretentious. When made in an easygoing style, malbec offers juicy, dark, plummy pleasures and can be good with a wide range of equally easygoing meals. But more and more often these wines are tarted up by ambitious producers who want higher scores, along with the higher prices and status that go along with them. They might cut yields to make denser, more concentrated wines. They will invest in small barrels of new French oak, which polishes the wine to a fine sheen while conferring the vanilla and chocolate flavors that make the wine taste generic rather than distinctive. The effort to turn good malbec into great malbec renders them unfit for the easygoing table. But guess what? They do indeed score higher, and they end up costing more. A consumer seeking a wine for dinner tonight who is buying strictly by the score may well end up selecting the inferior bottle, even if it does have a higher score. The same scenario has played out across the wine-producing world, whether with the aglianicos of Campania, the mencías of Bierzo, or the pinot noirs of Oregon. Simply put, a wine with a higher rating is not always the better choice—not nearly! It is one of the crucial lessons of experience. Recognizing this fact is a sign that independent thinking is taking hold. Even more important, many consumers eventually come to understand that wine ratings have major limitations. They begin to search for other sources of knowledge. That’s about the time when you develop the motivation to abandon the supermarket in favor of a wine shop with knowledgeable merchants who can guide your selection. That’s why they will ask you questions, like what you are eating, what kind of wines you’ve liked in the past, and so on. They are asking you to provide the context that will help them make informed recommendations. Of course, not every merchant really cares about your needs. Instead of making their own considered recommendations, these merchants will recite the scores to you. My advice: Look for another shop. Critics themselves are well aware of the limitations of ratings. Most urge their readers never to divorce their ratings from their written evaluations of those same wines. Their point would be well taken if their evaluations supplied useful information about the wine—its general style and nature, for example, and what sorts of foods or occasions might be suitable. Instead, the critical information they offer is in the form of tasting notes, and we’ve already seen where they lead. Some critical sources do understand the need for context, yet just as with tasting notes, they err on the side of overspecificity, like friends who cannot contain themselves from offering too much information. Perhaps wine writers find speaking in generalities unsatisfying, as if their creative acumen can only be displayed by piling on irritating details. For example, I generally love Wine & Spirits magazine—its articles are excellent, provocative, and highly readable—but its policy of offering absurdly specific food suggestions in its tasting notes would be maddening if it weren’t so comical. In a recent note on a 2007 pinot grigio from Swanson, a California producer, the critic asserts that the wine is “for grilled unagi,” as if this bottle could only go with a meal of grilled freshwater eels —crazy! Meanwhile, in the same column, the critic writes that the next vintage of the same wine, the 2008 Swanson pinot grigio, is “a match for barely seared albacore with green zebra tomato salsa.” What if you want to prepare the albacore dish but you only have the 2007 pinot grigio? Out of luck? Or will readers know to extrapolate from these instructions that the wines will most likely go with hearty seafood dishes, eel, tuna, or whatever? Why not just say that? Or is the green zebra tomato salsa actually a crucial component? More likely, when consumers are told to “match its bone-dry intensity with grilled quail wrapped in pancetta,” they will want to punch a wall or reach for the aspirin bottle. Just as with tasting notes, overly specific instructions for matching wines and foods are mystifying and intimidating for novices and useless for experienced wine drinkers. They should be avoided. The wine industry itself has a tormented relationship with scores. Most winemakers know how artificial the whole process is, yet they feel compelled to go along with it, especially when the benefits from a high score are so tangible and commercially rewarding. In a global marketplace, too, scores have the advantage of selling internationally. A 95 from Parker requires no translation in Hong Kong, where descriptions like “explosively rich with gobs of crushed blackberries and raspberries” may fall flat. Strangely, other numerical scales are not nearly so transposable. Americans who try to mentally translate the British 20-point scale into the 100-point system find it as frustrating as converting Celsius temperatures to Fahrenheit—there is no easy correspondence. The easygoing wine that the British critic praises earns a 16. Multiply by 5 and you get 80, well beneath a score that will appeal to Americans. Perhaps because of its added flexibility, the 100-point scale has achieved worldwide hegemony. It has taken hold in Italy and Spain, and even some in Britain are now using it, too. In the end, though, scores are a poor substitute for wisdom, a conclusion that, alas, offers two potentially unsatisfying alternatives. On the one hand, you can continue to trust in scores, knowing you may miss out on many highly satisfying wines that are not the type that earn high scores. On the other, you can begin the quest for understanding, which consists simply of thought and judgment applied to experience. This is a highly pleasurable pursuit, I must say, but one that demands some time and effort, to say nothing of money. obligation. But if the motivation is curiosity, joy, and pleasure, then the possibilities for fulfillment are unlimited.